The Beam is an independently owned local community magazine serving Bampton and the surrounding villages of Alvestcot, Black Bourton, Clanfield and Aston. This website serves as an extension to the magazine, bringing you news, pictures of local events, local information, a diary of events, offers from local businesses and an online directory that you can use any time you need to find a business in the area. 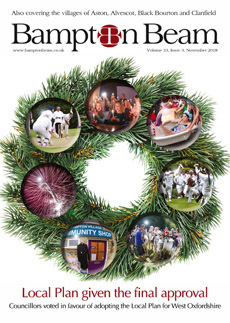 The magazine is published quarterly and the distribution area covers Bampton, Weald, Clanfield, Aston, Alvescot, Black Bourton, Lew, Radcot and Chimney, with copies also being available for pick up in the surrounding villages. 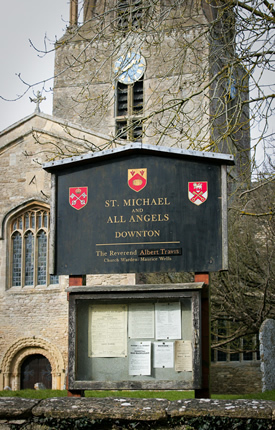 As well as being a great place to live, Bampton is also the fictitious village of Downton, of Downton Abbey fame, and is becoming a much visited tourist attraction. Our Downton Abbey section contains images of the filming in action, information on the actors, background scenes, specific locations as used in the series and advice for visitors. The Bampton Beam prides itself on being a true community magazine that encourages people to get involved and use the businesses and services available in the area.